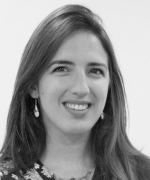 Melissa Caldeira Brant de Souza Lima joined the Wittgenstein Centre as a Pre-Doc researcher in November 2016. She is a Research Assistant at IIASA since January 2018. She is working on the project The Demography of Sustainable Human Wellbeing that aims to develop new indicators for long-term human wellbeing that include feedback from environmental and other changes. The project is funded through an ERC Advanced Grant awarded to Prof. Wolfgang Lutz. Ms. Lima is a PhD Student of the Program of Economics and Social Sciences at the Vienna University of Economics and Business (WU), focusing her research on education, population dynamics and development. She holds a Master’s degree in Demography from the Centre of Development and Regional Planning (CEDEPLAR-UFMG, Brazil) and a Bachelor’s degree in Social Sciences from the same university. Prior to joining IIASA, Ms. Lima was a Project Researcher at the WU, Institute of Human Capital and Development, Demography Department. Previously, she was a guest researcher at BIB (Germany) in the “Family and Fertility” group. She has worked in Brazil as a consultant and as an analyst for social projects and policies, educational policies and public opinion surveys. During her Master’s studies, she participated in the Internship Programme of the International Policy Centre for Inclusive Growth (IPC-IG/UNDP) with Social Protection policies, particularly with Family Agriculture.